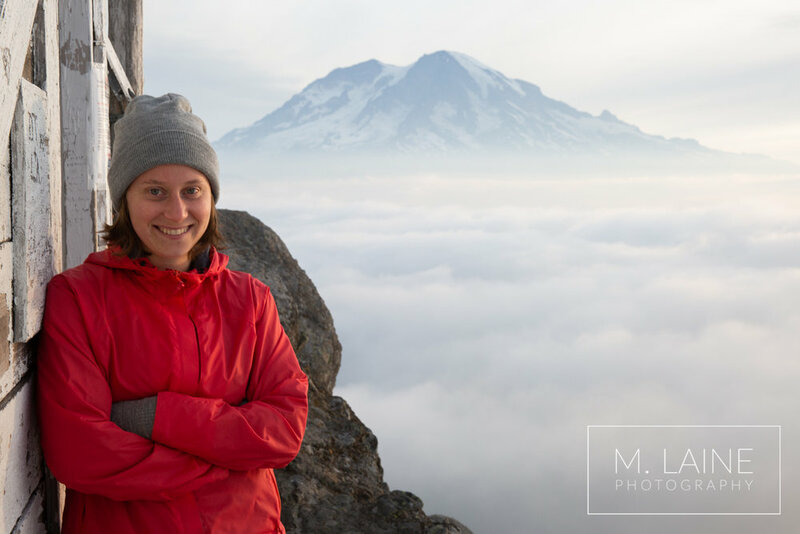 High Rock Lookout, right outside of Rainier National Park, has all the perks of eloping inside the park with out the need of a national park event permit, park entrance fees, or the crowds. 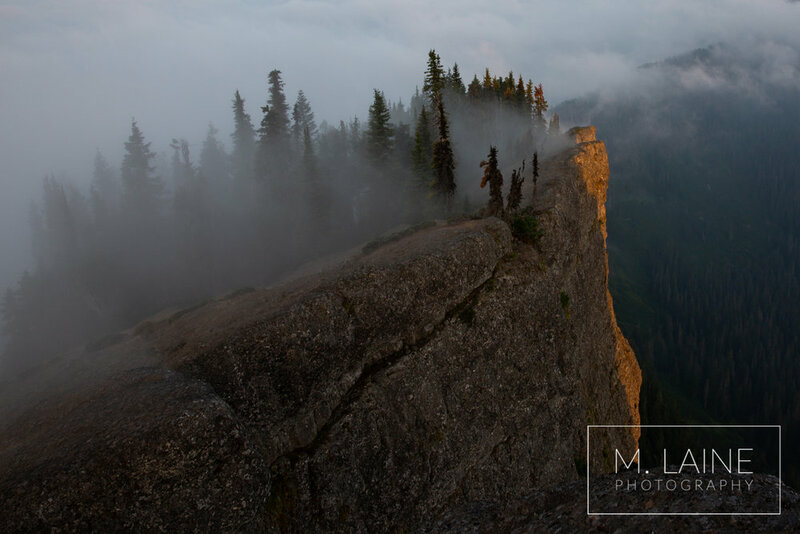 This hike boasts of 360 degrees of jaw dropping views, dramatic cliff sides, the perfect view of Rainier, and access to the historical fire lookout in case of inclement weather . To get to the trailhead, you’ll follow a long (and a little bumpy) dirt road to a small pullout area with room for 10 or so cars. It’s a moderate 1.6-mile hike to the top. 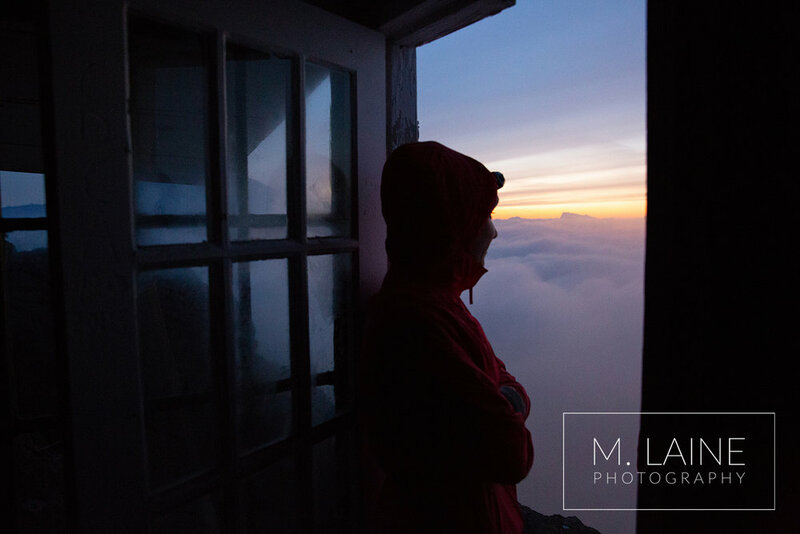 When I visited, our group started at 4am to enjoy the sunrise and were happily surprised that we had the place to ourselves. Although this hike is not as busy as others closer to Seattle, if you want to have more privacy, sunrise is your best bet. If you don’t mind sharing the views, then sunset is the next best time to visit. With 360 degree views, this hike is the perfect location to say your “I do’s”. Read more about the hike here — https://www.wta.org/go-hiking/hikes/high-rock and Contact me to start brainstorming your wedding or elopement ideas.